Please note: The Park is currently closed to all visitors due to active construction. No Trespassing. Thank you everyone who volunteered at Clean the Park Day on November 10! 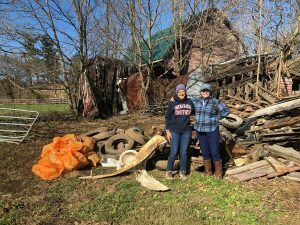 Volunteers and Park staff cleared around 250lbs of debris and trash and weeded the Keep Virginia Beautiful grant-funded plantings that are near a spot that is great for environmental education. The KVB grant also paid for the purchase of a bench by artist Glenn Richardson, which will be placed near the plantings after the Park officially opens. The official Seven Bends State Park website is now up and running. Visit it here. Years in the making, Seven Bends State Park is one step closer to opening for regular public use. The Park’s first employee has arrived in Woodstock. Chief Ranger Thomas Stevens is looking forward to meeting local folks and getting to know the community. Stevens, who grew up over the mountains in Pendleton County, West Virginia is a graduate of West Virginia University. 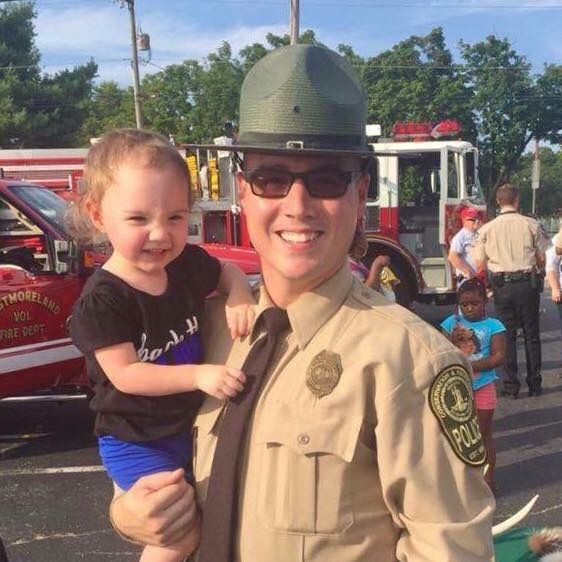 He has most recently served as Chief Ranger of Westmoreland State Park along the Potomac on Virginia’s Northern Neck. Tom, his wife Danielle, and young daughter Cora are just getting settled in Woodstock. Tom is looking forward to meeting folks in the community and working hard to have the Park open in 2018. Stay tuned for news on Park planning and volunteer opportunities. 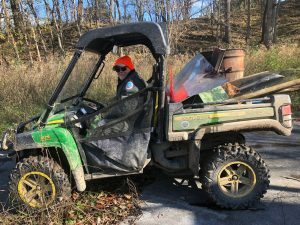 Friends serves as the “community support organization” for Seven Bends State Park, along the river near Woodstock. As the property gets set up for public use, we will be recruiting volunteers for a number of projects in future years. We recently received word that plans are moving forward with construction and other Park plans. You can read the full update we received from Craig Seaver, State Parks Director, by clicking here. Last year the General Assembly provided some operational funding that will allow the Park to be staffed and help complete construction of simple day-use types of facilities in 2018. The hope is for public use of the property sometime in 2018. The Hollingsworth entrance will also have a small maintenance shed and a partial access road built, to get into the Park’s interior. limited staffing of the Park is expected to beging this fall with a Chief Ranger and maintenance staff. 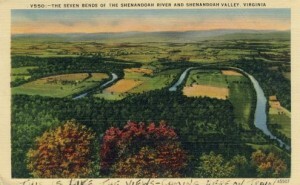 Seven Bends State Park on the North Fork of the Shenandoah River at Woodstock, Virginia [Map It!] is now becoming a reality. The 1,066 acre park land was dedicated in 2005, but little has changed on the land. Now the Park, which includes about 4 miles of frontage on the North Fork, has received over $2 million in funding for fiscal year 2016 from the General Assembly. While it will be many more years before significant Park facilities are built, we are pleased to see this progress which brings it one step closer to public use in the future. Friends of the North Fork will be serving as the designated “community support organization” for Seven Bends. We look forward to the thoughtful development of the Park and being an active partner to help the community take advantage of increased river access and educational programming opportunities. Our colleagues at Shenandoah River State Park have been doing this for years. You might visit their website to get ideas to suggest for projects at Seven Bends. Interested in helping out at the Park? There will be many volunteer opportunities, depending on your interests. Friends is helping coordinate volunteer efforts, but you can also work directly with the State Park. Thanks so much for your interest. Please call Concha Mendoza at our office or fill in the form below to learn more volunteering at the Park and our other volunteer activities.